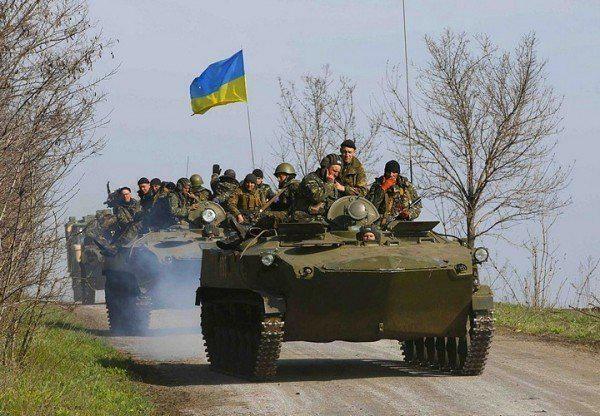 Five Ukrainian soldiers were wounded in the hostilities. This is reported by the ATO headquarters on Facebook. The Mariupol sector continues to be the epicentre of hostilities between Ukrainian troops and pro-Russian militants. 120 mm mines, grenades from RPGs and IFV shells landed on Ukrainian positions near Novotroitske; 82 mm mortars, RPGs and heavy machineguns were used during attacks on Krasnohorivka. Ukraine’s Marines in Pavlopol and Hnutove went under fire from RPGs, heavy machine guns and small arms. Militant snipers opened fire in Pavlopol. In Donetsk sector, Avdiivka took most of the attacks; the enemy fired 120 mm mortars, grenade launchers and large-caliber machine guns. Pisky went under fire from 82 mm mortars and heavy machine guns. RPGs and heavy machineguns were used in terrorist attacks on Butivka coal mine and Troitske. In Luhansk region, pro-Kremlin militants used grenade launchers to attack Krymske; heavy machinegun fire was reported in Stanytsia Luhanska.